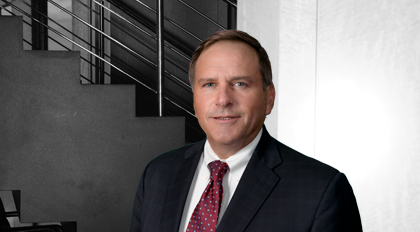 David Fox has devoted his more than 30 year legal career to managing complex litigation cases at Moore & Van Allen. He has tried complicated multi-week jury trials in both the State and Federal Courts of North Carolina. Those include the defense of a mass tort action involving over 170 plaintiffs. He has also represented parties in complex arbitration proceedings, including a five-week hearing which resolved mass tort claims for injuries claimed as a result of exposure to contaminated groundwater and related class action property claims brought on behalf of property owners in an area of several square miles. He has tried adversary proceedings in Federal Bankruptcy Court and administrative cases under the North Carolina Administrative Procedures Act. He has also defended commercial parties in defense of products liability cases. He has argued appeals before the Fourth Circuit Court of Appeals, the North Carolina Court of Appeals and the North Carolina Supreme Court. He has examined and cross-examined expert witnesses in trials and arbitration proceeding on a variety of disciplines, including toxicology, fate and transport of contaminants in the environment, groundwater flow, groundwater modeling and property valuation. He has represented contractors and sureties in the negotiation of contracts and settlements, including in regard to surety takeovers of defaulted construction projects. He is admitted in and has handled cases in the Western, Middle and Eastern District Federal Courts for the State of North Carolina. He defended multiple litigation challenges filed against the contractor hired to site, design, build and operate a low-level radioactive waste facility in North Carolina. He also handled various permitting and related litigation challenges brought as obstacles to the construction of a large industrial facility in eastern North Carolina. Commercial and business litigation, including business torts, covenants not to compete, contract disputes, trade secret and intellectual property matters. Environmental litigation, including facility siting litigation, toxic torts and property damage actions related to the release of hazardous and other substances. Construction and surety litigation, including disputes between owners, contractors and sureties, as well as disputes between owners, contractors and design professionals. Selected for inclusion to the North Carolina Super Lawyers list in 2006-2019. His primary areas of practice are General Litigation, Environmental Litigation, and Construction Litigation.